Big big day today, arsenal fans across the country (and world) expect some transfer action today. Arsene Wenger has hinted, he has teased the press that transfers will be made, he has kept his cards so close to his chest that we have no indication of who may be coming through the emirates door before the window closes. In the past few days Wenger has stated that any players coming in will be top top class players, no average players but top top class players. I hope he sticks to his word as nothing will be more frustrating than seeing us sign a couple of players who are the best players around for their age and have potential to be the best. We really need players ready to be leading lights in the first team now not youth who will jump ship as soon as they reach the required level. All I know is I along with many other fans of all clubs will be glued to some sort of media awaiting news of players coming in whether it’s watching sky sports news, refreshing various football websites or listening to radio updates. We all get hooked in by the fever of the deadline day deals; I wonder who will be spotted in their private helicopter hovering over the football ground of the team they are going to sign for this time? I really don’t think any genuine names have been thrown into the hat for potential arsenal signings, many have been mentioned without any solid proof to back it up. I personally have a feeling Clint Dempsey could be a potential signing, my reasoning for this is the silence, nothing has been mentioned from the American’s camp. This kind of silence could be because of the typical arsenal style of keeping everything hush-hush. Sorry guys that’s as far as my theory goes and it’s a pretty weak one. But never fear as I can guarantee you anything that does happen will be done TODAY. With the incoming players not being so transparent we at least have some light shed on an outgoing player. 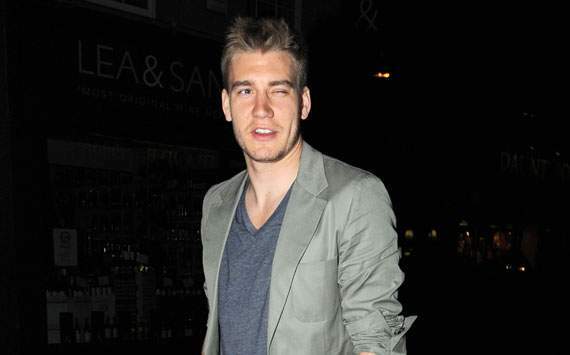 It looks like Nicklas Bendtner has finally found a club that meets his 3 important criteria with news that Juventus are the most likely destination for the striker. After Dimitar Berbatov pulled a sly one on the club they turned their attentions to the big Dane to lead their line and he is known to have had a medical for the Italians and will probably have his move announced today. Good luck to him, he managed to get a move to a decent club (despite being Juventus pan B) after his agent’s phone refused to ring all summer. Apart from the awesome excitement whipped up from today’s deadline day activity Arsenal were involved in some draws for a couple of tournament’s yesterday. In the domestic corner the draw was made for the third round of the capital one cup when we received a home tie against Coventry. A great draw and another brilliant chance for fans to obtain tickets at a discounted price to see some of the stars of the future grace the emirates pitch in first team duty. That game will happen in late September and I hope we can go on a good run in that competition with a nice balance of youth and experience. In the slightly larger more important draw that happened yesterday the groups were decided for the champions’ league. Read into it as you may I think we received a reasonable draw considering some of the teams we possibly could have drawn. In our group we were paired with Schalke, Olympiacos and Olivier Giroud’s old club Montpellier. We will have to be on top of our game and the early season cobwebs totally blown away to ensure safe passage from the group. There is slight relief that our group did not resemble that of Manchester City, truly a group of death. We’ve been in this competition long enough to not take any opponents lightly, no games are easy enough that we simply need to turn up. A good result in our first group game which is away to Montpellier would be a nice start. Overnight The Mail and The Express have run with stories which link us with snapping up Chelsea’s Michael Essien on loan for the season. Now we are just being teased, I for one am not a fan of the football equivalent of ‘blue balls’. The awesomeness of such a signing would be off the scale, Essien would be the type of ready for now player that would fit the quality of player we need. How true the story is I don’t know, the logic behind Chelsea letting a player like Essien move to a rival is enough to confuse Spock. Understandably the Ghanaian hasn’t hit the heights recently of his days when Mourihno was still in charge but he would clearly be a quality addition to any team. The loan transfer of Yossi Benayoun last year was a different proposition; he clearly wasn’t part of AVB’s plans and needed Arsenal as much as Arsenal desperately needed him at this time last year. Don’t get too excited on this news yet Arsenal fans but take comfort in the fact that all will be resolved before we reach September 1st. Enjoy deadline day today people, it will come with many twists and turns. hopefully that hot presenter on sky sports news will work double shift today. Another day another departure, yesterday Arsenal announced the sale of midfielder Henri Lansbury to Championship side Nottingham Forest. The youngster signed a 4 year contract with the club in a deal believed to be in the region of £1m. I can’t help but feel we have a knack of selling players and not receiving anywhere near the kind of money these players are worth. Henri is a promising England midfielder an undoubted star player in the u-21 national team with proven experience at successful teams at championship level. He has helped 2 of the 3 championship clubs he has played at gain promotion to the premiership and even his spell at Scunthorpe lead to a play off place only missing out on playing in the play offs due to his loan not extending beyond last game of season. There is no shame in being unable to break into the Arsenal midfield past players like Arteta, Diaby, and Cazorla; when you are young you have to be exceptionally talented to force players of that experience to the bench. The problem with players in Henri’s case is that their value is lowered because of this, an insane philosophy as there are players with half of Henri’s talent at smaller clubs being sold for ridiculous fees. Not being ready to dislodge players in Arsenal midfield does not mean you are a bad player sometimes timing is all wrong. Football can for a lot of the time be about luck, the injury to a first team player and being at the right place at the right time to get a chance to shine and stake a claim for a place. It happens; some players sink some players swim and a player like Lansbury although he was developing well in his loan moves he never seemed to be around at arsenal to take any chances. The Carling cup games hardly ever graced his appearance as he would be on loan somewhere, the times when our whole midfield would be crocked and again Lansbury would be elsewhere. One of the most memorable moments for Lansbury was scoring against spurs in the Carling cup, we won the game 4-1 and Henri was on everyone’s lips. Problem was other clubs noticed this and pressed forward with loan offers for the youngster, he duly obliged in order to gain more experience and improve. Maybe that year was the year to stay at arsenal and wait for any opportunity that arose. He didn’t stay and I suppose out of sight out of mind in Wenger’s case. You look at players like Emmanuel Frimpong and Francis Coquelin; they are not better or worse than Lansbury but were clearly more established as first team players. Their opportunities came because they hung around and a chance came for them to take. Their specialist position is different from Lansbury being defensive midfield but despite a couple of loan moves for Coquelin initially he decided to stay at the club and wait for a chance to shine. His versatility granted him a chance in another position but he still grabbed his opportunity with both hands and put him firmly in Wenger’s plans. Once he proved he had what it took to perform in the first eleven the chances were bound to come in his preferred position. Frimpong despite the setback of a long term injury bided his time and took his opportunity when Alex Song was suspended for a few games; he impressed in his performance against Liverpool last season (despite getting himself sent off in that game) and made his claim for a place in the arsenal midfield. I wish Henri good luck in his career at Forest and hope he graces the premiership again to show what he is really capable of. Despite his weird obsession of doing the dougie he showed his focus and drive at the many clubs he played for. In other news it is claimed contract extension talks has broken down between Theo Walcott’s people and the club. Though according to BBC sport Theo wants to stay at the club and is willing to continue negotiations. This situation frustrates me as the closer we move towards the closing of the transfer window the more power moves to Walcott’s agent in negotiations. It will not be ideal to have the player in his final year of his contract and the window shut. With the transfer window being this close to closing we would most likely miss out on a decent fee If we decided to cut our losses and sell. If we foolishly think we can tie Walcott to a contract once that window shuts we are very mistaken. He will have the opportunity to pick and choose his club and walk out the door on a free at the end of the season or move to a club for peanuts at the next transfer window. As we learnt with Robin Van Persie we cannot afford to let these negotiations drag on, Walcott keeps making noises as if he wants to stay at the club but yet no contract is signed. The Walcott situation also frustrates me due to the money and patience invested in the winger over the years, he is a player who on his day can terrify and destroy defences for fun but in between those good games are many where he has looked like a little boy lost in a game of men. Arsenal fans have backed him and believed in him; fending off all the accusations from outside the club (and inside when you consider Stewart Robson) of having no football brain. We have persevered with him whilst he has frustrated many a time and I feel he owes it to the club and the fans to commit. I believe there is still more to come from him and despite seeming to be around for an eternity already he is still learning and improving. I still see the potential to reach the levels of Thierry Henry as he develops his game and physical strength I just won’t be able to stomach him moving on and another club reaping the benefits of our hard work. I just hope Theo can look deep inside and realise what the club has done for him and return the favour by offering his services for years to come. Second game into the season and the second goalless draw; it’s not exactly the ideal start to the season. The Robin Van Persie sized monkey on our back refuses to go away and until the goals start to roll in we will have to fend off the scathing assessments of our attacking options. I suppose it doesn’t help when Robin himself is already off the mark in his Man United career, the comparisons will be made and last seasons goals will be mentioned at every opportunity. Arsenal in fairness have not played badly in the two games so far, Santi Cazorla has taken to the team like a duck to water, the defence has not conceded a goal and that’s without first choice Laurent Koscielny playing a game yet. Neutrals watching the game yesterday will be cursing knowing they will never be able to get that hour and a half of their lives back. It’s very rare to get an exciting 0-0 draw and yesterday’s game certainly followed type by not exactly exciting the masses. As an arsenal fan I can’t find the game boring as my focus is solely on seeing the gunners succeed, I kick every ball, head every header and the heart beats faster when we attack or defend. I’m quite happy that we have come away from the Britannia without a defeat, the ground hasn’t been the best to us over the years and on reflection Arsenal came off the pitch disappointed not to have all three points. We were hardly tested as much as we have been in the past against Stoke, we pretty much kept their attack under control and apart from the offside goal scored by Jonathon Walters the defence stood up to the task. Getting this tie out of the way so early in the season is a good thing I feel when stoke visit emirates that will be 3 points on the board, the away tie is always the banana skin with added pressure due to the bad feeling between the clubs. The Stoke fans were at their putrid best yesterday, mocking Wenger at every opportunity and showing even more class by booing Aaron Ramsey when he came on as substitute in the second half. Nothing from that club surprises me from the manager to the players to the fans they really are something else and sooner or later their one dimensional football will be found out, let’s hope they are propping up the table this year. I’m quite glad Shawcross has decided against playing for Wales, he still thinks he has a chance with England; he should take a ticket and wait in the queue next to Jermaine Pennant and Joey Barton. Aaron Ramsey doesn’t need the extra burden it would have brought and the right outcome has come about. It’s a pretty fair and accurate assessment really, we are still finding our feet up front due to new personnel but I can see goals will come soon. Olivier Giroud worked hard up front and did some good things when holding up the ball and bringing others into play, Podolski was more withdrawn playing in the left attacking role, he certainly played his part supporting Gibbs in defence but also showed flashes of danger in the final third. There was one chance in the final minutes that fell to Olivier Giroud after a quick counter attack, with the stoke defense stretched Aaron Ramsey was steaming through the middle hoping to collect a pass into the middle however the Frenchman spotted Begovic off his line and attempted a lob from about 40 yards. In fairness it was a good shot and skimmed the roof of the net, if that went in we would be talking goal of the season contender. Giroud saw how close the chance was and seemed quite impressed with his effort unfortunately the cameras panned straight to Arsene who was screaming in frustration at a wasted opportunity to square the ball for a better placed player. Poor Giroud was not even aware of the bollocking he was due in the dressing room after the game. The important thing from that chance is it showed Giroud’s confidence to even attempt and nearly execute such a chance, his performance was ok and after a week or two of fine tuning in attack and we will score for fun. A shame as he was a player that had some good battles with song in the middle of the park for the past couple seasons and has impressed for Newcastle. Alex Song has been speaking to the press over in Spain and claims that he wanted to sign a new contract to stay at Arsenal for the past year. He explained that the club kept putting off talks using the excuse that he had enough time and did not need to rush negotiations. Not the kind of thing we want to hear when we are trying to move on. It certainly turns the heat back onto Ivan Gazidis and his team as to why something like this could happen (if Song is telling the whole truth). As I’ve stated in the past the departure of Song is not a disaster and he can be replaced, the important factor is a player coming in as cover; Arteta and Diaby have been doing a good job covering but I would still prefer an experienced specialist defensive midfielder coming in. I won’t dwell too much on the contract situation with Song but it will be a problem with me if it become a regular occurrence. Special mention to Vito Mannone who came into the side yesterday after Szczesny didn’t recover from a rib injury in time. Fans up and down the country were hardly filled with great confidence when that news broke however the Italian did all that was asked of him and came out of the game with a clean sheet. Fair play. 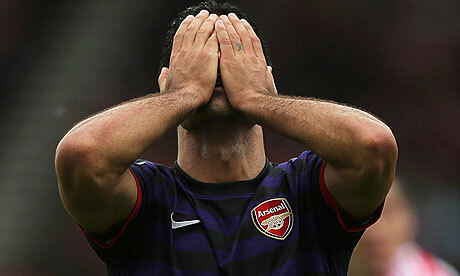 Arsenal fans are impatiently waiting for confirmation of the deal for Nuri Sahin. The potential loan deal seems imminent however until anything is announced on the official arsenal website the speculation increases as to what could be delaying the deal. Is there an option to buy clause or isn’t there? Does Mourihno hate Arsene so much he would rather the player go anywhere else? 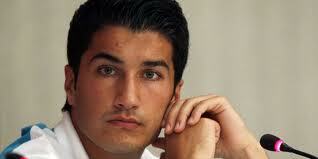 Has Sahin been given a few days to decide where he goes? Whatever the reason we will lap up any rumours that surface and in true Chinese whisper fashion we will hear a completely skewed story from the original source. I believe the deal will be announced before the week is done, whatever day it’s announced I do not expect the midfielder to be involved in any part of the Stoke game on Sunday. 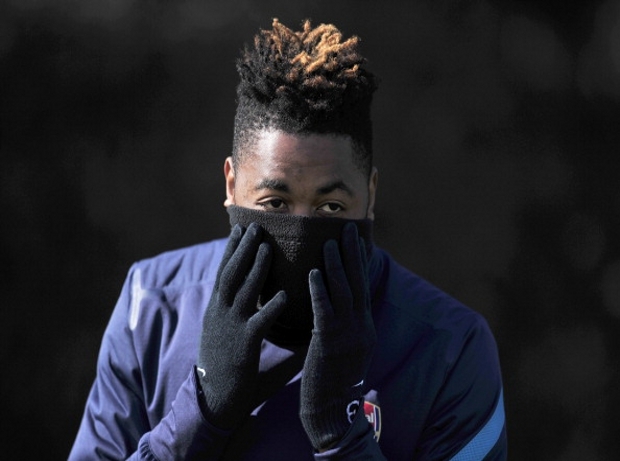 The fans though maybe need an announcement to counter the loss of Alex Song to Barcelona; we are divided in our assessment of whether the sale of the Cameroonian was a big blow or great business. I would have to sit on the fence for this one, on one hand it’s a shame to lose a player who has improved on great levels to make the defensive midfield role his own in the arsenal team, he was at a good age and he added steel to our midfield; on the other hand fans questioned his overall focus of the defensive side of his game and the fact that despite how good he was for us he isn’t irreplaceable. With news of a deal for Yann Mvilla possibly being revived fans would soon get over the loss of Song. Wenger went as far to admit that he was planning to bring in a midfielder and a defender only for Everton’s new signing Kevin Mirallas a striker claimed he turned down arsenal in favour of a move to Goodison Park. Mr Wenger you crafty soul, you never show your hand, you bluff and you bluff yet we eat up your words like doggy treats. Back to Mirallas I have no idea why his revelation that he turned down arsenal is headline news? 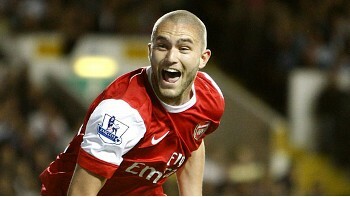 Maybe he thinks it looks better on his CV that a snub to arsenal shows what a top player he is. The fact he ended up at Everton maybe shows how much he isn’t such a top player. Rather than trying to improve himself and fight for a place in the starting line up at a top club he settles for starting week in week out at a club where his only threat is Victor Anichebe; Good luck to him and his lack of ambition. Not the ideal event to happen the day before our first game of the season, could that be the reason why he did not feature in the game. I suppose if he was being disciplined for the incident he wouldn’t have been on the bench or the squad at all though that would have raised speculation. It was claimed he was not breathalysed when arrested though at 9.30 on a Friday morning to have any alcohol in his system would spell curtains to his career at arsenal. Whatever his reason failing to stop for police is a big no no, speeding alone is so common amongst footballers nowadays it doesn’t warrant reporting, a mere slap on the wrist normally covers that; failure to stop and the law enforcement get a bit more serious. 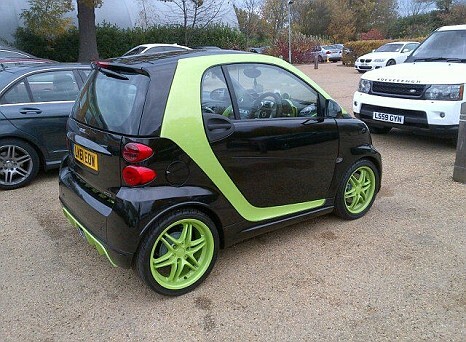 with reports of him driving up to speeds of 130mph I struggle to see it reaching 30mph with Santos big frame driving it. Well the new season kicked off yesterday, we welcomed Sunderland to the emirates in the baking weather as we hoped to get a good start in the post Van persie and Song era. I had my reservations before the match that it wouldn’t be a stroll in the park against Sunderland; they are no mugs and on their day can frustrate the biggest of teams. Sessegnon is always a danger and caused us problems in the games last season. I still expected a win but a hard fought win, that wasn’t the case as we were frustrated into a 0-0 draw. With the news of Alex Song’s potential move to Barcelona coming into fruition it was no surprise to see he was not on the pitch warming up with the rest of the squad before kick off. He was probably en route to Spain at that very time and the writing was pretty much on the wall that the Arsenal midfield will never see those blond highlights ever again. The starting line up did include 2 of the new signings in Lukasz Podolski and Santi Cazorla, Frenchman Olivier Giroud started on the bench. With injuries to Koscielny and Oxlade-Chamberlain Arsene Wenger played his strongest team possible with Per Mertesacker drafted in and Abou Diaby starting in the midfield. 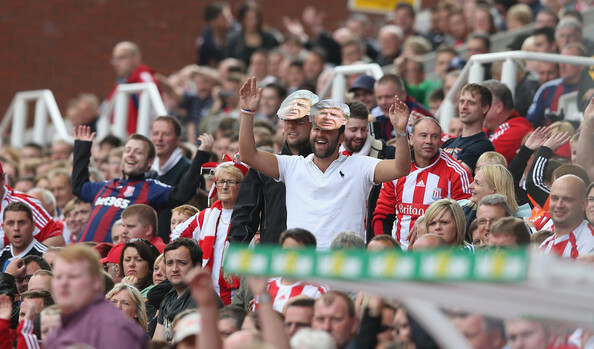 Overall it was a tense game with Sunderland causing some problems with their pace early on. Thomas Vermaelen’s Arsenal took their time to find their rhythm; I guess we had new personnel that still need time to gel into the Arsenal way. Whether time for them to bed in can be afforded is another matter, given the negative press awaiting any games we don’t win the team and new players really needed to hit the ground running. We will constantly be reminded of Robin Van Persie and his goals so the sooner we can make the press see life goes on without him the better. Podolski didn’t have a bad game however it seemed he wasn’t allowed much space by the Sunderland defence and despite the German showing his strength and close control in tight situations he was never really given any clear opportunities to gobble up. Santi Cazorla really showed how good he was in the game, he appeared to pull all the strings from midfield and showed his shooting prowess with a few chances especially one amazing dribble and shot from 25 yards that was clawed from the top corner by Mignolet. He really does look the part and is the kind of player the midfield could be built around, he has a big part to play this season and will help players like the Ox and Ramsey improve their games. I’m sure he will be fine but the sooner he gets his first goal the better. In the grand scheme of things a 0-0 draw isn’t a disaster, it would have been nice to start with a win but given all the negative press over the past week with the loss of players it was sure to be playing on the teams mind. We will get past this after all we have become experts in rebuilding after the loss of stars. 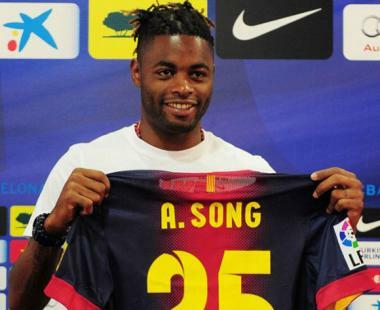 A quick word on Alex Song, it was made official yesterday that terms have been agreed between Arsenal and Barcelona. The player leaves us and although I initially didn’t want him to leave I wish him well at his new club. He will find it tough to break into the team there and personally I can see his time at the club following a similar path to that of Alexander Hleb. As big as a player Song became in the Arsenal team he was not quite the complete player, he did master a niche for himself playing around much more talented attacking players. Some of those attacking talents he played with clearly rubbed off on him as exhibited by his number of assists last season. Arsenal fans have a reputation for being a bit impatient whenever a flowing move breaks down due to a stray pass; song was no stranger to the odd stray pass. The Barcelona fans expectation of perfection trumps the arsenal fans ten fold so Song will have to step up his game to another level to make his move a success. I could be wrong and he could carve out a successful spell at the club however if Barcelona are asking him to just act as a shield to the defence then they may need to have a word. Unlike Van Persie moving to a rival I don’t begrudge Song the opportunity to become a Barcelona player. It is a great honor to represent such a big club and the chance to play alongside superstars like Messi, Xavi, Iniesta amongst others would be a hard choice for any player to turn down. Song has moved abroad which I have no problem with, I actually think he is a replaceable player and so do not find his departure as hard hitting of that say Van Persie or Fabregas before him. I will miss his presence due to the amount of time he has been part of the club but his departure is an easier one to recover from with the right signings.